At Tri-County Animal Hospital, our goal is to ensure that all of our clients and patients leave our facility satisfied. We would love to hear about your recent visit with us - your feedback is greatly appreciated and helps the Tri-County Animal Hospital family grow each day! "I am so happy to see that Dr. Silberman has his own hospital. I have known him from a previous animal hospital where he worked with my wife. He is a dedicated and extremely well skilled doctor. I am happy to see him so successful professionally as well as personally." 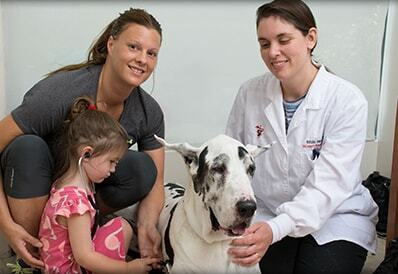 "Dr. Silberrnan provided highly sensitive, skilled and knowledgeable treatment to my cat.. I felt that I had made the correct choice in bringing my love buddy to Tri County Animal Hospital." 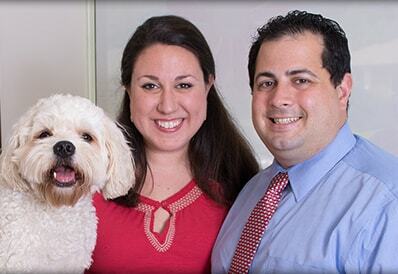 "DR. Silberman & his staff are the people you want to take care of your pets. I have been going here since 2012. I can not say enough good things about Dr. Silberman & his staff. There has been two times besides the routine check ups that my pups needed emergency and special attention .Both time they had my dogs feelin better in a few hours. Thank You so Much! 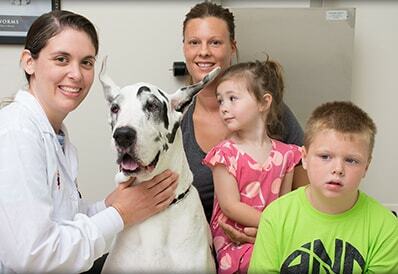 Dr. Silberman & all staff are amazing people!qd"
"We have two dogs who are both very different in their personalities. Stormy is a rescued dog who was abused and who does not trust too many people. Dr. Silberman has worked with us to make his visits the best they can possibly be for him and the team there. We also have Shadow who is a big loving clown also rescued. He loves Dr. Silberman and cannot wait to get his cracker once his visit is complete. We love Tri-County! We tried other vets in the area but this place is exceptional. Thanks to the entire team!!! We love you guys!" seem to enjoy what they are doing. I know we will be happy at Tri County." "As ALWAYS Dr Steele is amazing. (with both 4 and 2 legged critters) She is caring and detailed. She explains everything to make sure I understand. I would follow her anywhere. Thanks!!!!"